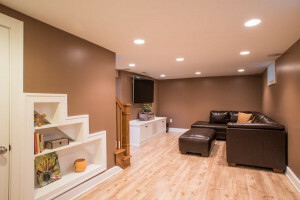 When the square footage of a house begins to feel inadequate, many homeowners take on a basement renovation project as a way to expand their living space. A basement space can be transformed from a dusty, cluttered wasteland into office space, a play area for children, an in-law suite for visiting relatives, or just a nice bonus room for the family. The first important step is to do proper measurements and checks to make sure you have the correct dimensions and that you are aware of any potential problems. 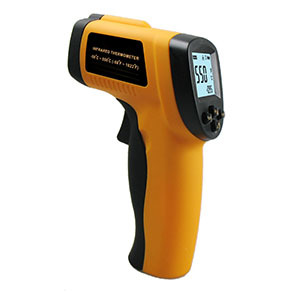 For example, you may need an infrared thermometer to detect temperature troubles with leaky pipes, etc. 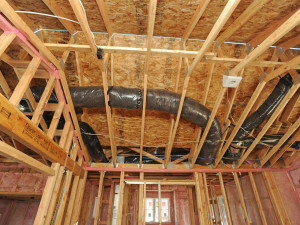 You may also require a carbon monoxide meter, an insulation tester, or a humidity meter to truly assess the situation. If you are intending to use the basement for family members as living space, you’ll need a full or half bath to accommodate them. Thus, plan to run the new PVC pipe behind a new wall before it is nailed into place. If you are setting up a bonus room for your family to enjoy, forget plumbing and focus on a thick carpet and heat-resistant padding. 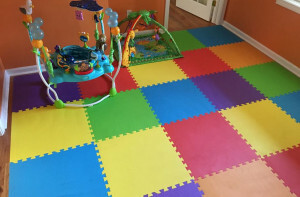 If your basement will become a playroom for the kids, carpet tiles or playground tiles might be all you need. 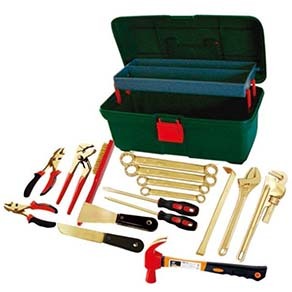 You will most likely end up using almost every kind of tool imaginable, so stock up on the following to be fully prepared: screwdrivers, hammers, pliers, socket sets, saws and blades, and vises. Depending on how elaborate your renovation is, you may also require a demolition hammer to break up concrete or a drill and rotary hammer to drill through it. One of the main issues you can have with a basement conversion is that it can seem cooler than the rest of your house, so you need to make sure you have the right flooring or carpeting to help it feel more welcoming. However, if you install an in-floor heating system to keep the basement warm, skip the thick carpeting and heat-resistant padding as they will impair the efficiency of the in-floor heating system. Furthermore, you will most certainly need to insulate your basement walls; foam panel insulation is the easiest type to install for this application. Deelat Industrial offers a wide selection of essential basement renovation materials and items that will help complete your next project! We’ve got you covered with quality products at low, affordable prices. Shop with us today and save!